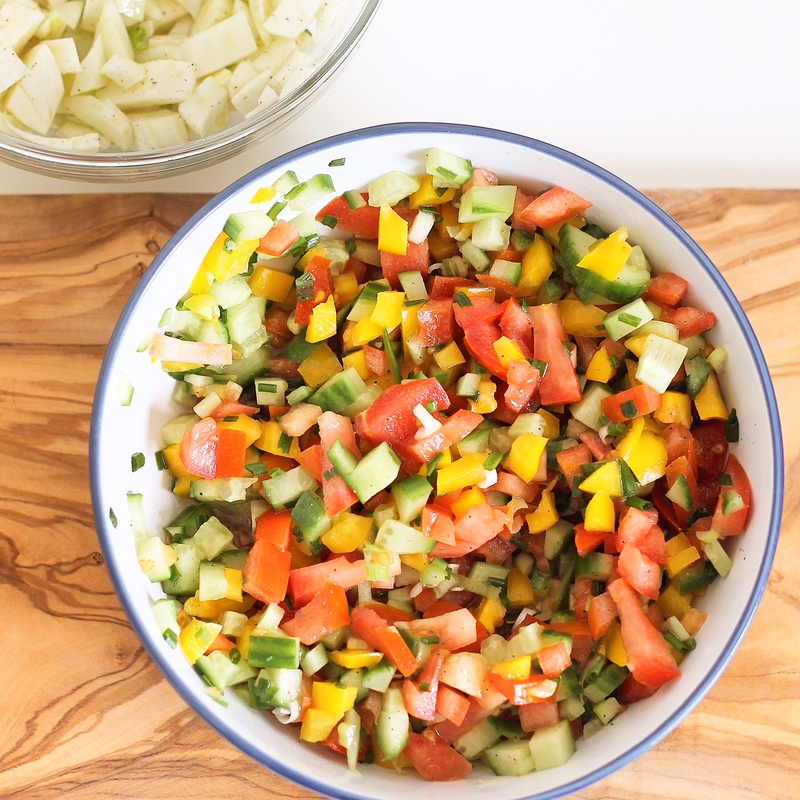 Chop all your veggies up into really small pieces and put them all in a bowl. Drizzle a little olive oil, a little vinegar and season with salt and pepper. Mix, and serve! Voila!